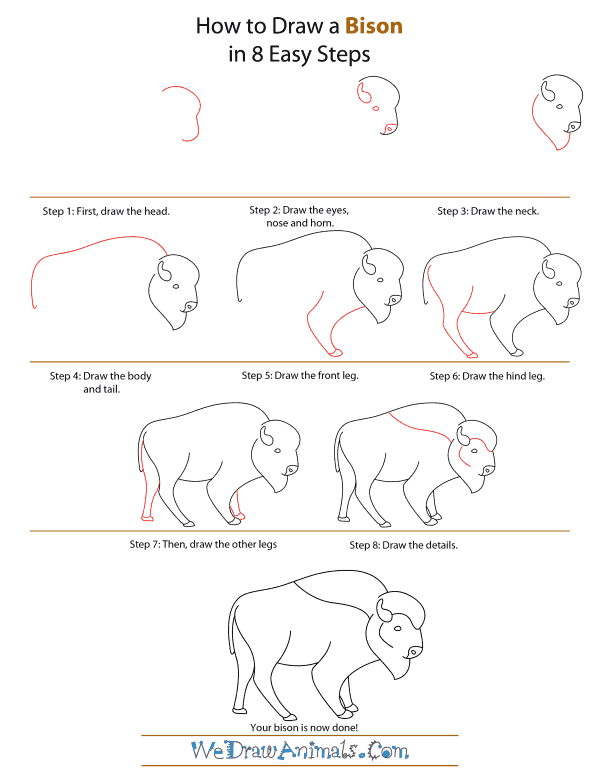 In this quick tutorial you'll learn how to draw a Bison in 8 easy steps - great for kids and novice artists. 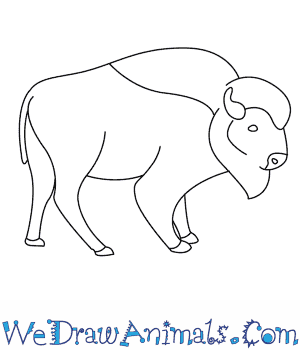 At the bottom you can read some interesting facts about the Bison. 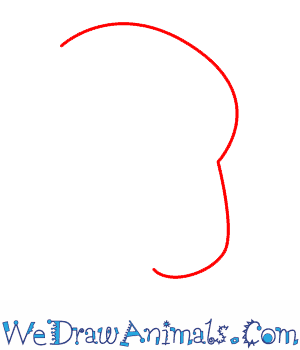 Step 1: First, draw the head. 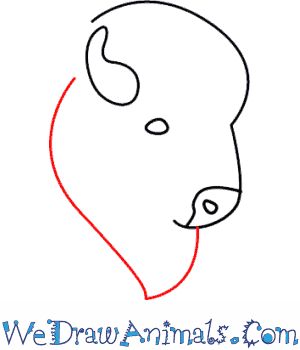 The bison's head is wide and rounded at the top, and more narrow at the bottom. Step 2: Next draw the eyes, nose and the horn. Bison have a great sense of smell, but very poor eyesight. The horns are used to defend themselves against predators. Step 3: Now draw the neck, bringing the fur to a sharp point at the bottom. Step 4: Now draw the large body and the tail. Did you know? Bison are the largest land animal in North America! Step 5: Next is the front leg, which curves toward the front of the bison. Also draw the hoof on the bottom. Step 6: Now draw the hind leg. Bison have very powerful legs and, despite their size, can run up to 40 miles per hour! 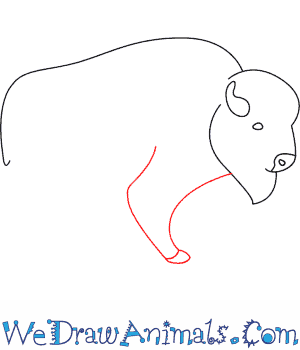 Step 7: Next, draw the other two legs to finish the bottom half of your bison. Step 8: For the last step, draw the final details. Add a line going across the back to show the hump. Bison use this powerful hump to help them plow through the snow! 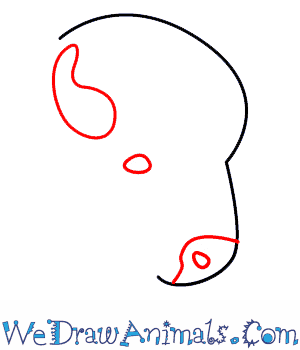 Your final detail on the head is a long curved line that goes around the face. 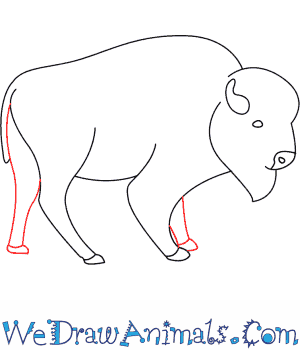 When you’re finished you can color your bison. They have long brown shaggy fur. Bison, also called the American buffalo, are large mammals with long shaggy brown fur, short black horns, and humped backs. They are native to North America. Bison are the largest animals that live on the lands of North America. They can weigh up to one ton and be as tall as 6 ? feet. Their bodies can be as wide as 12 ? feet long. The hump on bison’s back gives them the strength to plow through snow. Bison can run as fast as 40 miles per hour. Bison have great senses of hearing and smell, but poor eyesight. Bison are herbivores that eat grass, berries, and plants. The horns on a bison are used to defend themselves against predators. 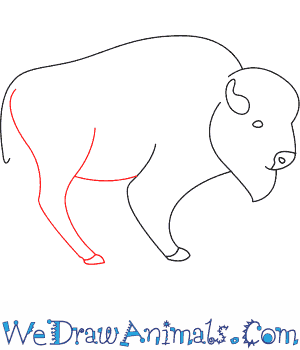 Male bison are called bulls. Female bison are called bison cows. 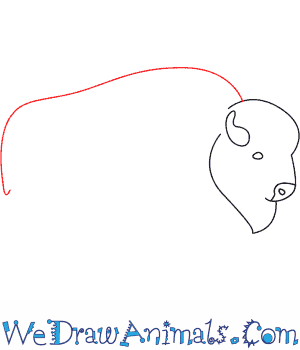 Bulls have square necks, and bison cows have round necks. When a baby bison, called a calf, develops its horn and hump, that is usually when it leaves its mother. The average lifespan of bison is between 12 and 20 years. Bison are a source of food for people. Bison meat is low in fat and calories, high in protein, and a good source of iron.